A Norfolk MP has written to ministers to drawn their attention to the massive savings which a Norfolk invention could achieve for the public sector. The world’s first composite fire extinguisher, the P50, invented and manufactured by South Norfolk based Britannia Fire could make huge savings for the NHS, local authorities and the government, South Norfolk MP Richard Bacon said. He wrote to Cabinet Office Minister Ben Gummer, whose brief includes improved public procurement, and International Trade Secretary Liam Fox after visiting the Ashwellthorpe factory to see the P50 being produced and to hear how it was making huge differences to the bottom line for companies and organisations by saving on costly annual service contracts. Mr Bacon said that the public sector – including hospitals and other NHS organisations, as well as local authorities and central government – had to make large cost savings and needed to be made aware of the P50’s potential. 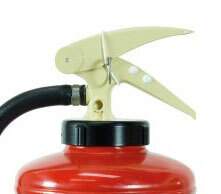 Inventor of the revolutionary P50, Britannia Fire owner Roger Carr, and General Manager Andy Spence told Mr Bacon how the extinguisher, launched six years ago, was the only extinguisher in the world made of composite with its leak-proof inner cylinder wrapped in Kevlar thread, the same material used in bullet-proof vests. 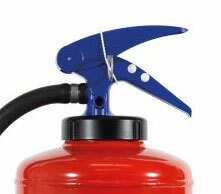 Mr Carr has three patents on the P50, which only needs a simple maintenance inspection every year rather than the costly annual service contracts required by traditional fire extinguishers. By swapping traditional metal extinguishers for the multi-use composite P50s, a 500-store supermarket chain would save £3m in 10 years, Mr Spence said. Brighton University will be saving £250,000 with the P50 over the next 10 years. Also over the same period Anglian Water will show a saving of £45,000, they were the first major customer to replace all their extinguishers with P50. 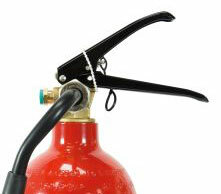 Hospitals, council buildings, police headquarters and other public sector organisations could shave hundreds of thousands of pounds a year off their service spend bills with the 100 per cent UK manufactured P50 extinguishers, said Mr Spence. Britannia Fire – which employs 37 people at its Ashwellthorpe factory – exports to 25 countries. Mr Bacon wrote to International Trade Secretary Mr Fox about the potential of Britannia Fire’s growing export activity. Mr Spence said: “To have the support of our MP, who is also on the Public Accounts Committee, is invaluable. 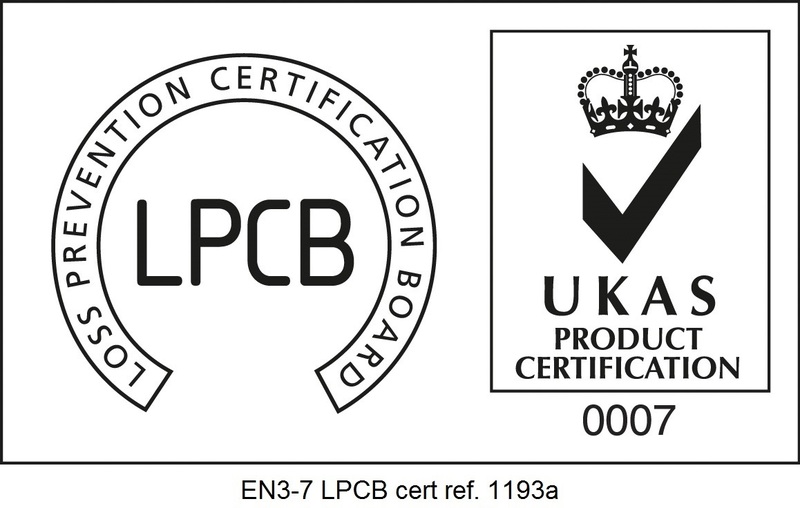 The P50, which is guaranteed for 10 years with a 20-year life-span, is recyclable and with high corrosion resistance, an advantage that Mr Carr believes presents Britannia Fire huge potential in the shipping and maritime world. The Maritime and Coastguard Agency awarded the P50 immediate approval, he said. P50’s export markets are the Middle East, Europe and Far East, Britannia Fire also sells its premier range extinguisher and wheeled units around the world. 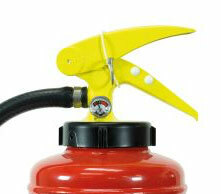 The extinguisher has recently been approved in Malaysia and is going through the approval process in Australia. Breaking into the US and Canada is also in the sights of the company. 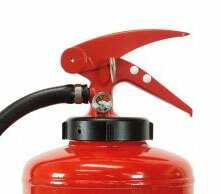 Most fire extinguishers in the UK are imported and are of poor quality with a short life-span + costly annual servicing.